2019 Indy 500, INDYCAR Grand Prix Tickets On Sale Now | Is It May Yet? Is it May yet? Not quite, but the time is here for race fans to make their plans for the most magical month of the year. 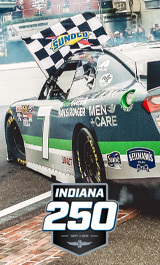 Tickets for all Month of May events in 2019 at the Indianapolis Motor Speedway, including the sixth annual INDYCAR Grand Prix and the 103rd Indianapolis 500, are on sale now at IMS.com and the IMS Ticket Office.